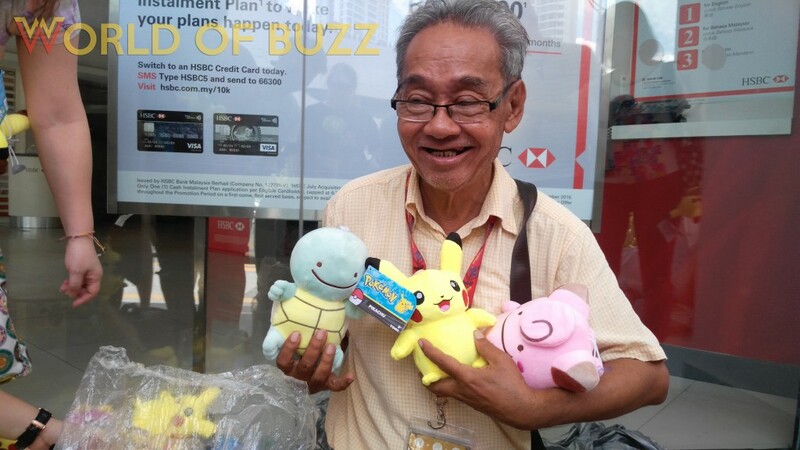 You may have heard about ‘soft toy uncle’, and if you haven’t, the 65-year old man went viral a year ago after his touching story was shared on social media. 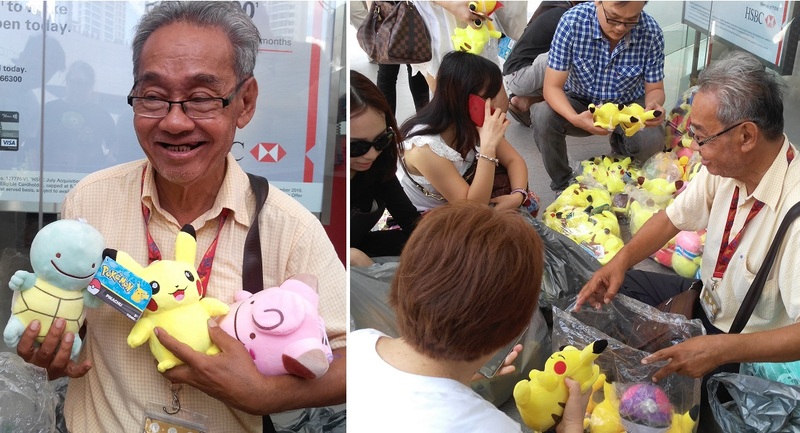 Uncle works hard to earn money the honest way by selling plushies/soft toys for cheap. So instead of getting soft toys for about RM25 which is the typical price in malls, you can purchase one from him for only RM10! His moving back story of how his income from these toys are actually to support his chemo treatment and to put his son through college has touched the hearts of many and got people to pay this man a visit. This year round, uncle suddenly got wayyyy more visits after a recent post about him blew up, garnering over 18,000 shares! 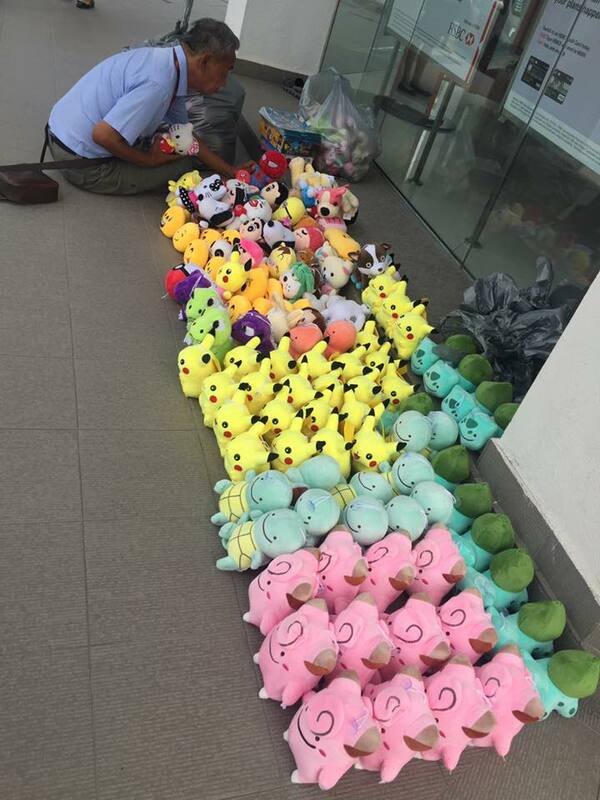 An image of him posted by Domo Sam pictured uncle selling super adorable Pokemon plushies prompted people of all ages to drop by Damansara Uptown to buy the toys from him. Look at all dem cute toys!!!! 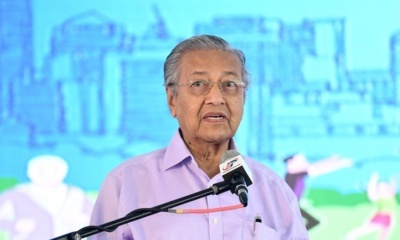 Just a mere day after the image was posted, uncle received overwhelming responses as people from all over Klang Valley flocked in, some coming as far as Kepong, Klang and Gombak to name a few. Uncle who starts selling at 11am outside HSBC sees his stock finished in less than 30 minutes as people are eagerly extending their hands out to fight over the limited stock he has! 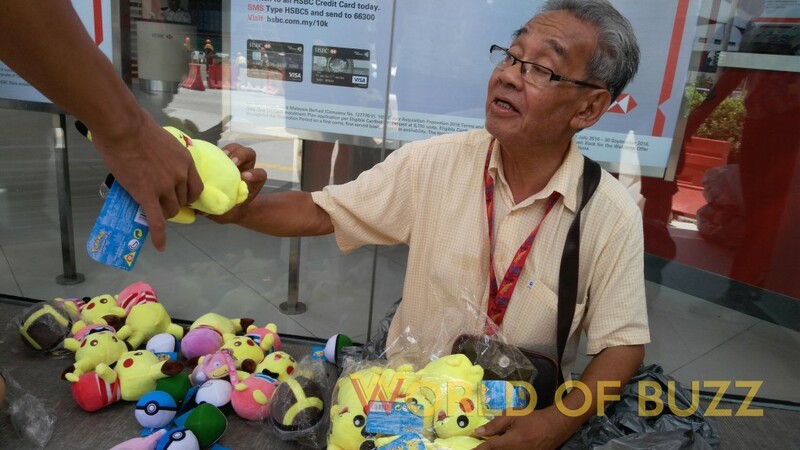 “I’ve been selling toys overall for 15 years, but for the last two years I’ve been selling it here [HSBC bank] because of my Leukemia so I couldn’t walk around so much. “Before this I was double my size, very fit. Now I don’t want to think too much and leave it to the hands of God. “I mean what can I do right? For the last 15 years, everything has been good for me.. in a sense that I was able to bring up my son as a single father.” he tells World of Buzz. 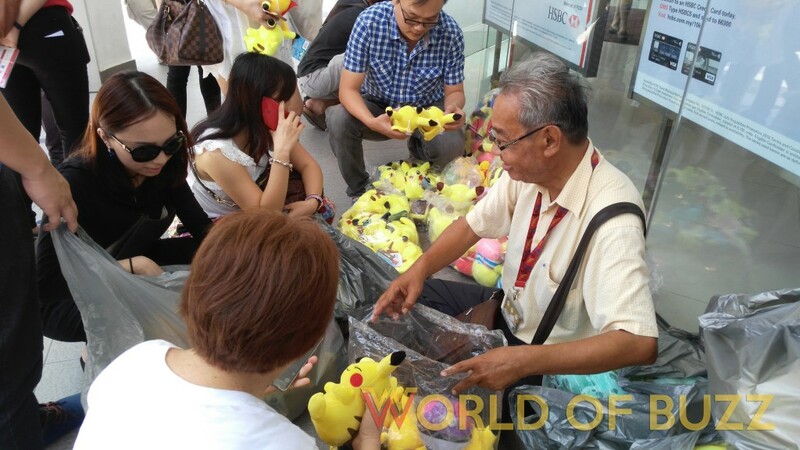 Uncle has gotten a lot of attention for the Pokemon toys that if you’re there at 11am, you can already see a bunch people standing around, waiting for him to arrive! As demand was so high, you’d be disappointed if you came just a little bit later because his toys would already be sold out. 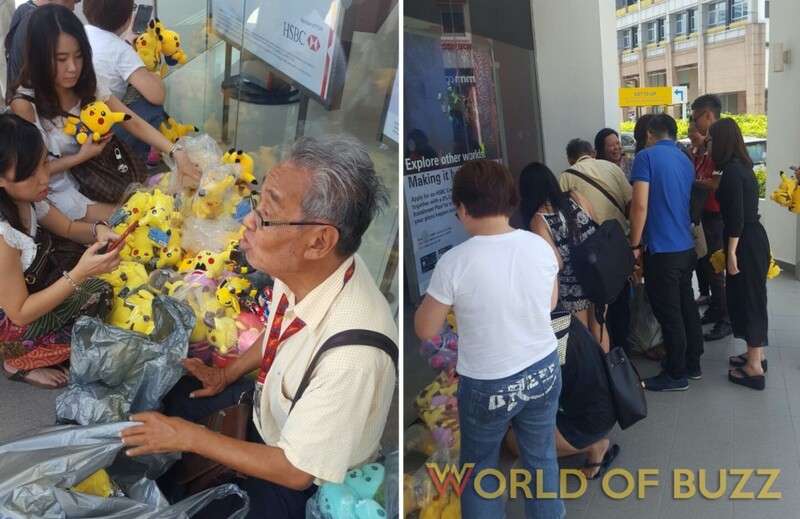 People from other states such as Penang and Malacca and even Singapore who expressed their desire to purchase the toys! 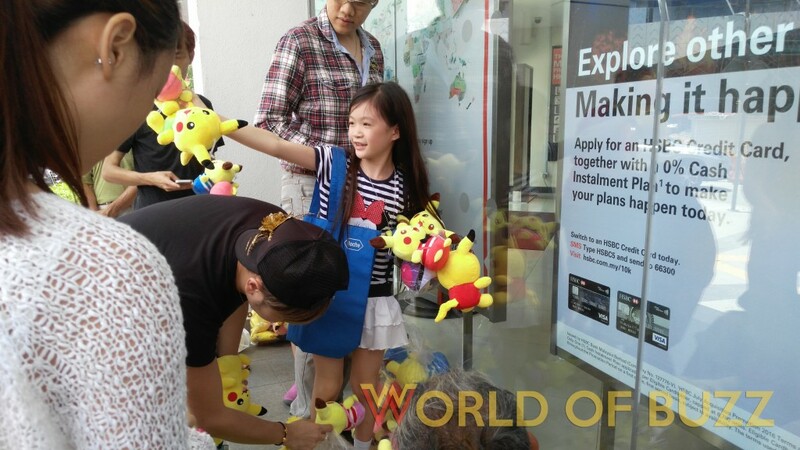 One lady astonishingly pre-ordered 100 pieces of Pokemon dolls from him, and also offered to buy the last remaining 6 toys so he could go back home earlier. Such a kind soul! That morning itself, he sold well over 300 pieces and says that he is truly grateful of everyone’s support. 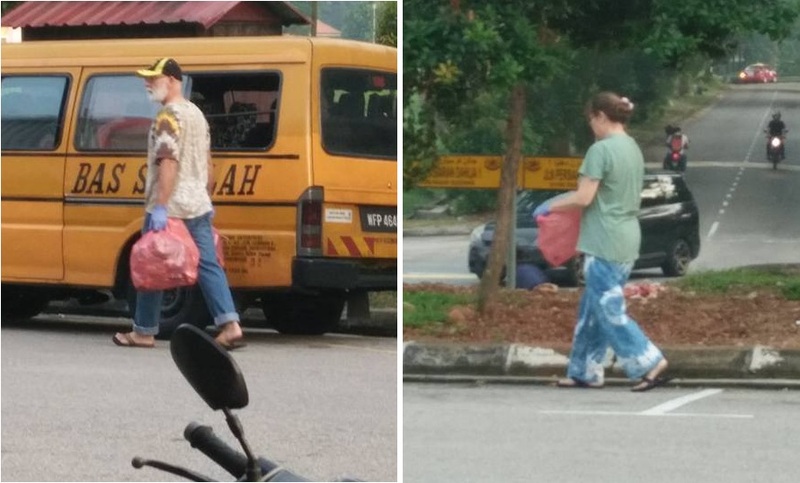 What’s interesting to note was this uncle who fully trusted the buyers as he does not personally count the number of toys they took but charged them according to the amount they told him. So if that lady said she took 8 pieces, then 8 pieces it is! One can only hope that everyone had been honest with him. “There were people who asked me to sell drugs, become a pimp, scams, but I refused. These type of ‘activities’ is not something I would ever do. We have to live life the right way. Plus, IF I went to jail, what is to happen to my son? We couldn’t help but to snag some ourselves as well! 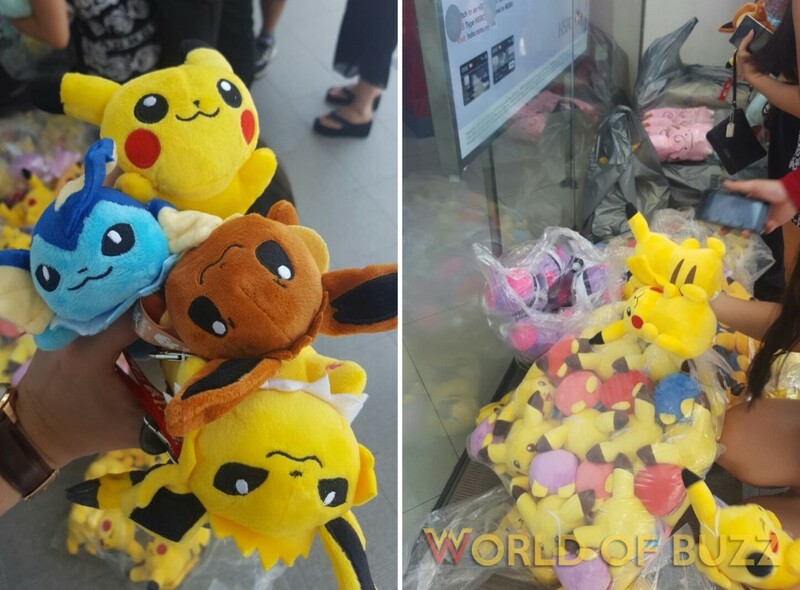 Uncle shares that due to the overwhelming response, people who are interested to buy the Pokemon plushies can drop by in 2 weeks time (tentatively after 19 September) after he replenishes his stock. However, for those who would like to purchase his other soft toys like Shin Chan, Angry Birds etc can drop by any time. 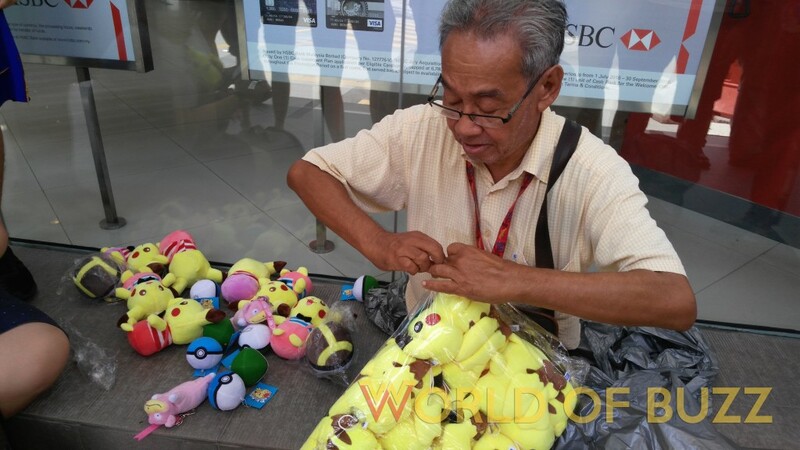 Uncle sells his toys outside HSBC bank in Damansara Uptown starting 11am daily. On a side note, if you love GREAT deals, then check out Shopee 9.9 Mobile Shopping Day where you are able get a Samsung Galaxy S7 Edge for only RM9.90! Yeap, you read it right. It’s even cheaper than uncle’s soft toys! Check it out here!